I brought home a bouquet of peony tulips, a variety I've never seen before. It's a proper marriage I think because tulips and peonies are such close companions in a blossoming spring garden. I panned out so that you could meet my other photography assistant - my dining room mirror! She stands in when Mike isn't home to assist but let me tell you that she's not nearly as fun to 'work with.' I have to keep her clean, she only works during certain day time hours and her conversation is always quite bland. Hubby is much more perky and requires much less maintenance. Love the post. Yes I have never seen that variety either. Lovely. The color is so vibrant and it looks incredible against the white. My peonies will be opening soon. I can't wait. My favorite flowers, next to lilacs and roses. Oh, it's tough loving so many lovely things. Stunning flowers - never heard of them either - they sure pack in impact! Brilliant idea! Thanks for the reveal. Your flowers and your words make me smile. How gorgeous! The flowers are stunning in such a wonderful set of photos! Peonie tulips never heard of them so georgous! Everyday you learn something new. Thanks for sharing the beautiful tulips. Fabulous . . . the first I have seen/heard of tihs marriage . . . smile. Your mirror companion worked just fine, maybe not as much fun though. Your posts delight me . . . I have not seen those either! I love my peonies! We had virtually no winter this year, so I had very few blooms. I has not seen those either! Love my peonies. W had virtually no winter this year, so I had very few blooms. Just beautiful, Trina. A lovely bouquet. I have never heard of this marriage, but they are gorgeous! You really have a great flower shop to get in such beautiful flowers! Totally agree with you. 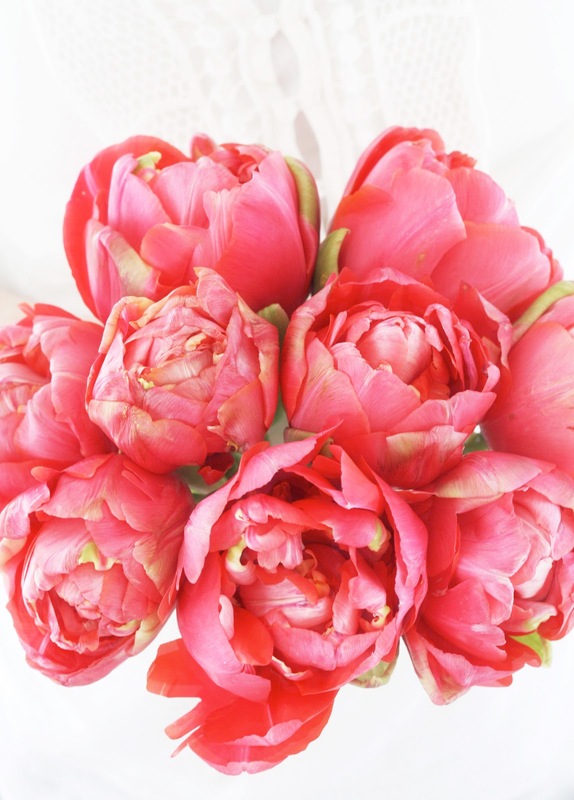 Peony Tulips are a great combination. And you and your sweet hubby are too. Wow. I'm still waiting for my peonies to blossom. Thanks for sharing. Trina, I've grown these for several years and they are always much admired. The also last exceptionally well as a cut flower. I have had good luck with the bulbs I have purchased through http://www.bluestoneperennials.com, but their offerings change every year....and I noticed that they don't have much of a selection right now. Maybe they will get more bulbs in stock before the fall planting season. Those are so pretty! I've never seen flowers like them before. These are beautiful! Peonies were my flowers in my wedding bouquet and I love tulips. I recently did a post on some great tulips I bought at my grocery. I only wish both of these flowers lasted longer! Love Love Love those. So Sublime! i've never seen these before either. SUPER GORG! I have never seen such a flower...I love them and will now have to look for a few! a stunning combination...my two favorite flowers in one! 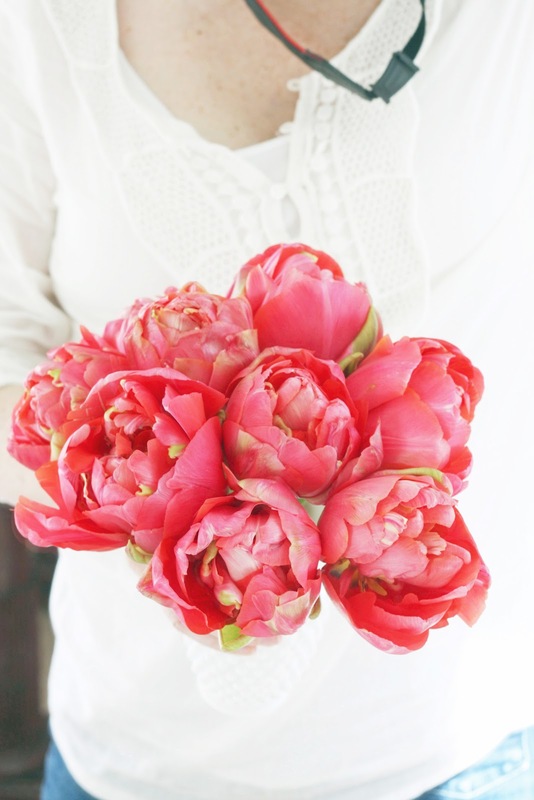 I agree with Windlost, tulips and peony are a great combination. I do love your images though, the color is fascinating. Do those smell as lovely as they look? These are beautiful! I have not seen them here yet! Two beautiful springtime flowers in one! These peonies make me so very happy! They are incredibly beautiful. 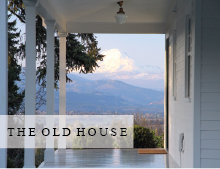 Every time I need a breathe of fresh air, I jump over to your site and know I will instantly feel ready for nature, life, and recharged.